A canvas tote bag made with thick and sturdy fabric. Suitable for carrying even the heaviest items. Long straps allow for carrying it over the shoulder. 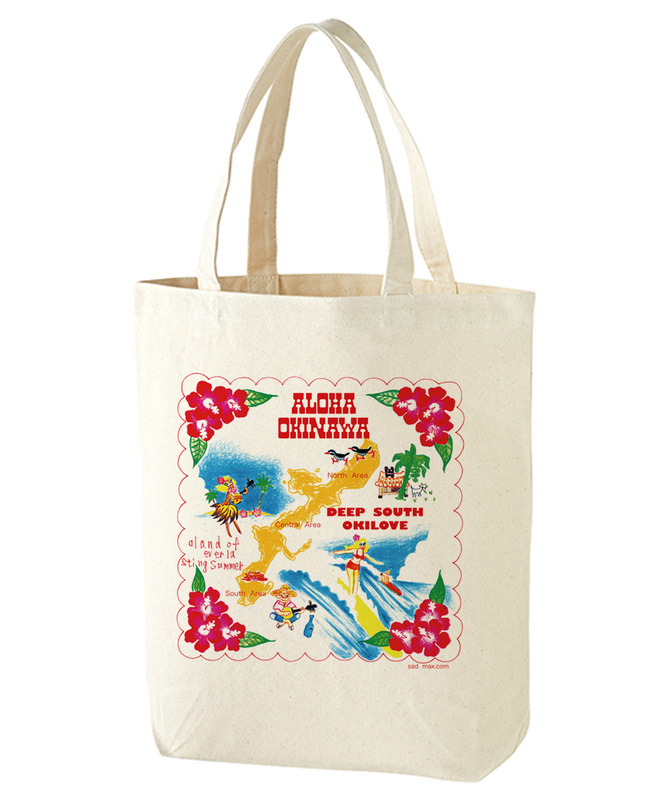 The Okinawan-themed decorations give the bag a wonderful South Seas islands flavor. Printing possible on the desired side (one side only; requires negotiation). Choose from among 37 pattern varieties.